According to Northrim Bank Press Release – ANCHORAGE, AK — August 25, 2009, Northrim Bank, a wholly-owned subsidiary of Northrim BanCorp. Inc. (NASDAQ: NRIM), has named Joe Beedle as President of the bank, effective August 24, 2009. Beedle, formerly Northrim’s Executive Vice President and Chief Lending Officer, will retain primary responsibility for lending and will continue to serve on the executive team responsible for day-to-day management of the bank. Goldbelt, Incorporated is an urban, Alaska Native, for-profit corporation located in Juneau, Alaska. 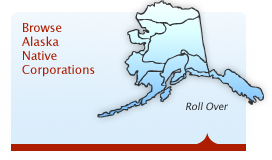 Its primary purpose is to manage assets and to conduct business for the benefit of its shareholders, approximately 3,200 people, almost all of Alaska Native heritage. Shareholders collectively hold the entire 272,200 shares of Goldbelt stock, representing assets of approximately $62 million plus over 32,000 acres of land in the vicinity of Juneau, Alaska. The company is named after a richly mineralized zone in Southeast Alaska that stretches along the mainland from Frederick Sound on the south to Berners Bay on the north – an area encompassing Goldbelt’s land holdings. 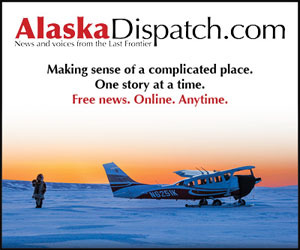 The Juneau Empire writes a rare in depth story on an important corporation in Juneau. The Juneau Empire usually does not allocate the time and resources needed to write a story like this one. Often they are reactive in their coverage, focusing on the conflict that brought a certain issue to light. I understand the definition of what is news nearly always includes conflict; however I feel the responsibility of an influential newspaper of record is to understand their role in positively shaping a community.